Shell Resilience Training has started at Armona.This comprehensive Shell-driven training will continue to be taught to Office Staff and Crew throughout the year. 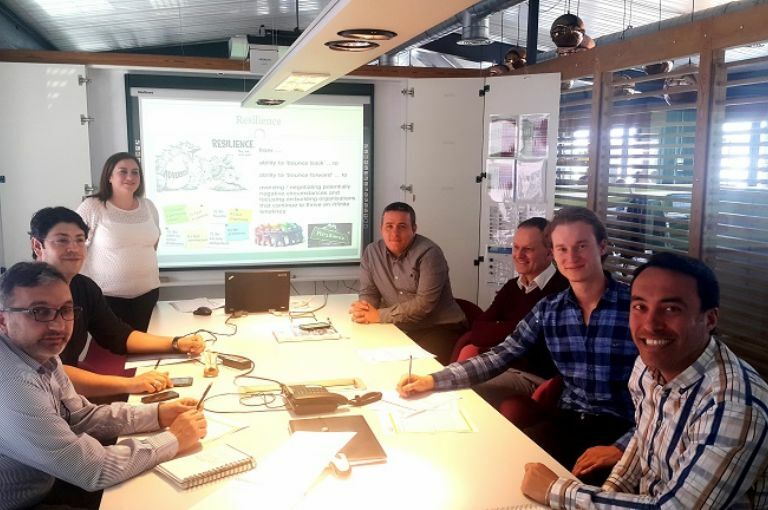 Following “Learning from Incident” and “Reflective Learning” trainings, Shell has recently launched a new training program about “Resilience” for its Maritime Safety Partners which consist of 5 modules to be discussed and elaborated by their staff both on board and ashore under the guidance of a facilitator, in an effort to achieve their goal of “zero incident” in the industry. Hence Armona has started their first session on Resilience training on 12.Apr.2016 in the office which will continue with monthly intervals for each module and the session will also be repeated during the company run seminar organized to be held on 26-27.Apr.2016 with the participation of over 35 seamen. The sessions will continue on board the fleet vessels. 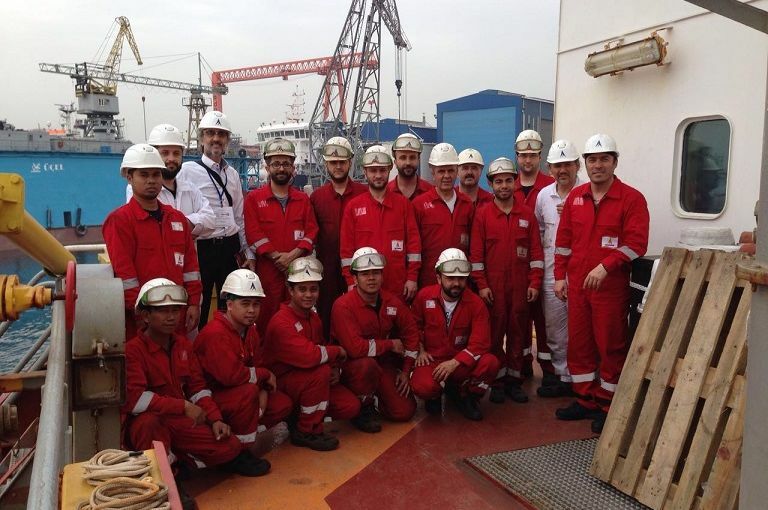 Captain Levent Karsan made his Q1 CTO visit on board the Atlantis Armona.The vessel was at Selah Shipyard / Tuzla for maintenance under the supervision of Technical Manager Aydin Yilmaz, Captain Ömer Balta Operation Manager, Electric Superintendent Bülent Köse and Technical Superintendent Yasin Aslan. The tanker loaded molasses in Tekirdağ and is now on her way to Belfast. 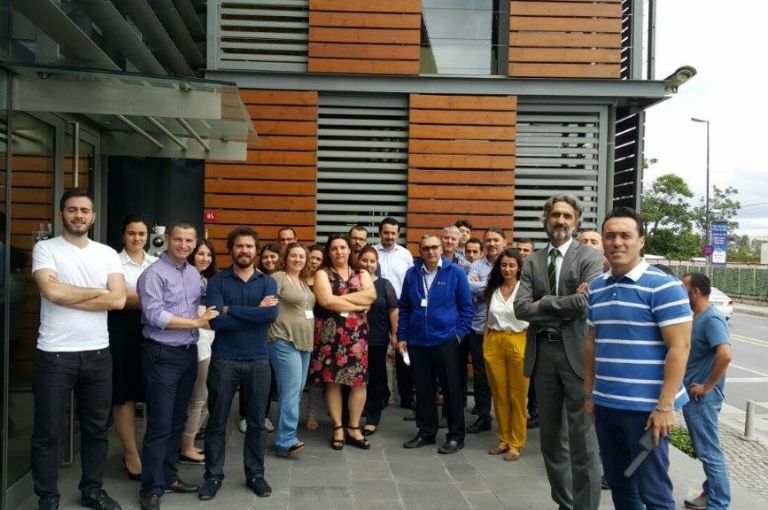 Captain Levent Karsan made his Q1 CTO visit on board the Atlantis Armona. DPA Capt. 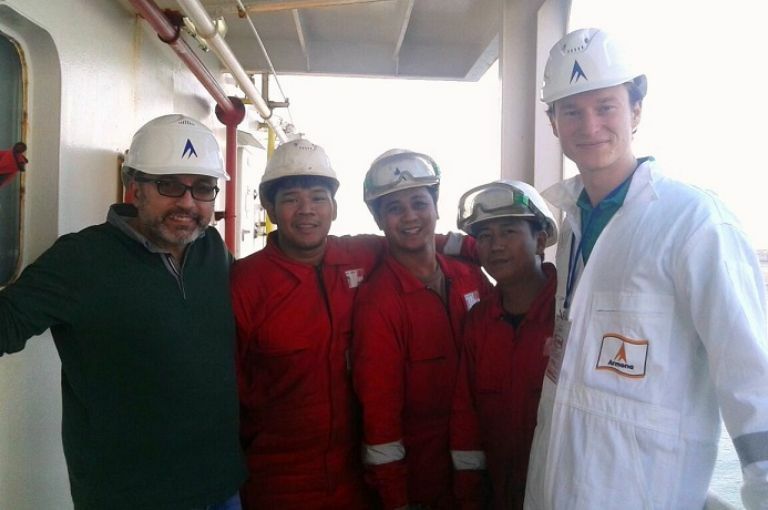 Gökhan Özgal trains an HSEQ Intern from IE University on board the Atlantis Armona. During their visit, the DPA and the Intern took the opportunity to meet some of the Filipino crew (in order from left to right: Paolo, Reggie and Jerico). DPA Capt. Gökhan Özgal trains an HSEQ Intern from IE University on board the Atlantis Armona. MT Atlantis Augusta (5850 dwt) is under construction at Selay Tersanesi under Newbuilding No. 149. Our newbuilding #9 is starting to show shape. 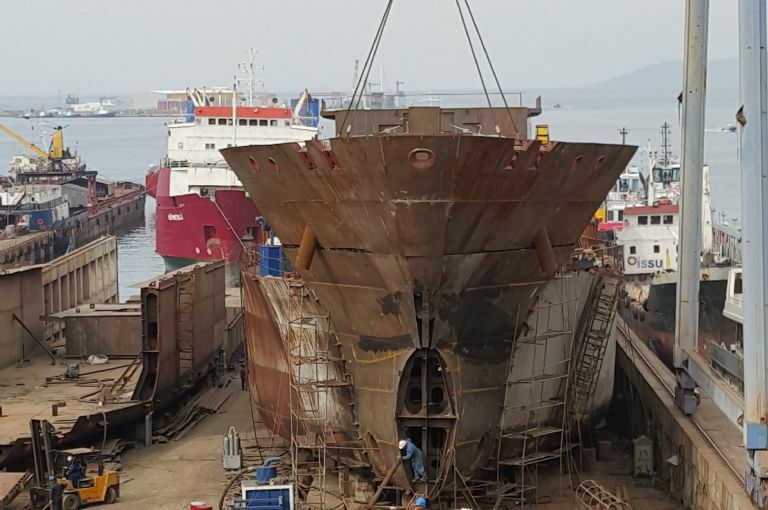 The construction of this ship was discontinued at Marmara Shipyard in the aftermath of the Lehman Crisis and is now being completed at Selay Shipyard with NB #149 scheduled for delivery at year end 2016. Augusta is a sister vessel to the Antibes with a deadweight tonnage of 5850. She will trade in the Continent - West Med axle. MT Atlantis Augusta (5850 dwt) is under construction at Selay Tersanesi under Newbuilding No. 149. 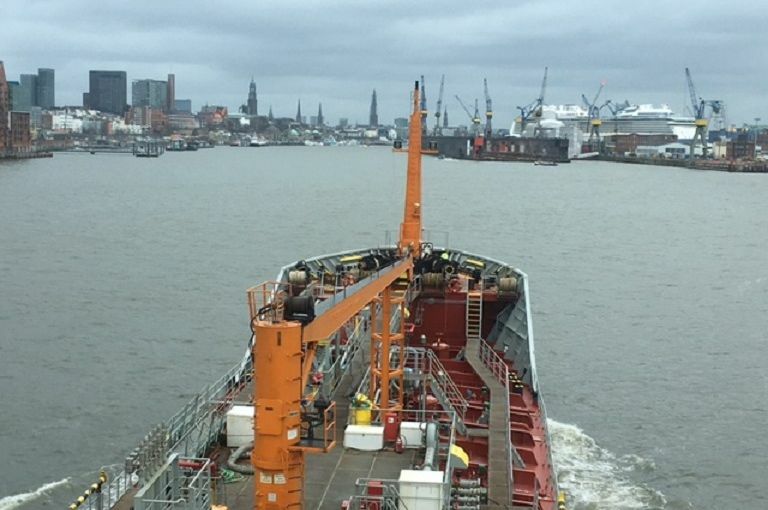 Atlantis Alvarado spotted at inner port Hamburg about to discharge its wax cargo. MT Atlantis Augusta (5650 dwt) is constructed at Selay Tersanesi under Newbuilding No. 149. Our newbuilding #9 is starting to show shape. 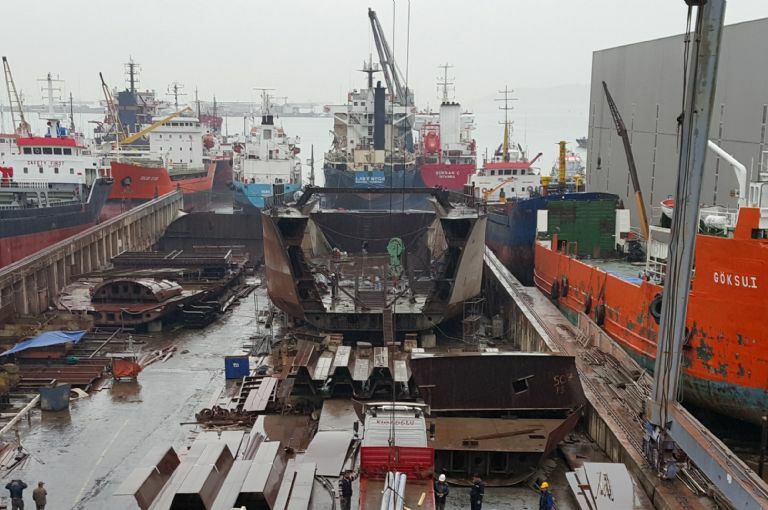 The construction of this ship was discontinued at Marmara Shipyard in the aftermath of the Lehman Crisis and is now being completed at Selay Shipyard with NB #149 scheduled for delivery at year end 2016. Augusta is a sister vessel to the Antibes with a deadweight of 5850t. She will trade in the Continent - West Med axle. MT Atlantis Augusta (5650 dwt) is constructed at Selay Tersanesi under Newbuilding No. 149. As part of the ISO requirements the staff of Armona carried out an emergency drill in the event of an earthquake gathering at the Muster station.